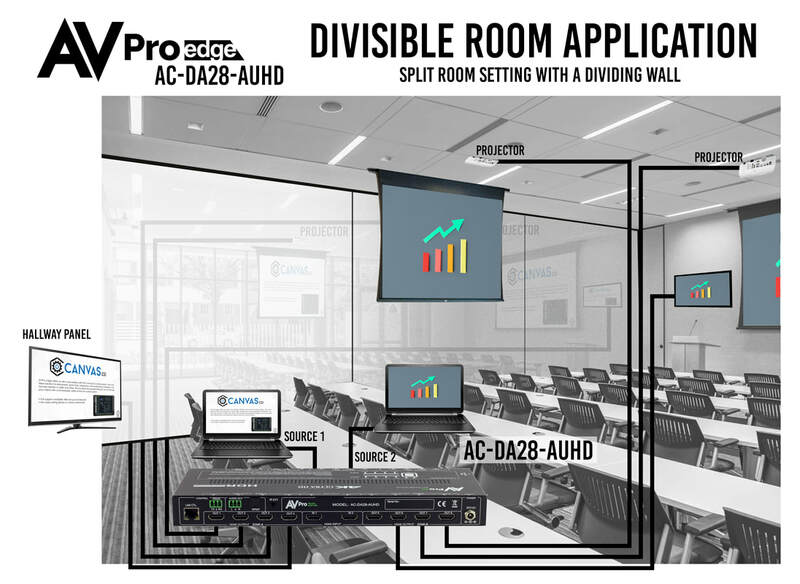 The divisible room is being utilized by universities, business's and conference centers around the world. Being able to change one room to two rooms allows any presenter the ability to adapt to their audience. Our solution is a fraction of the cost compared to traditional examples, and is ready for all the modern sources like laptops outputting 4K resolutions. 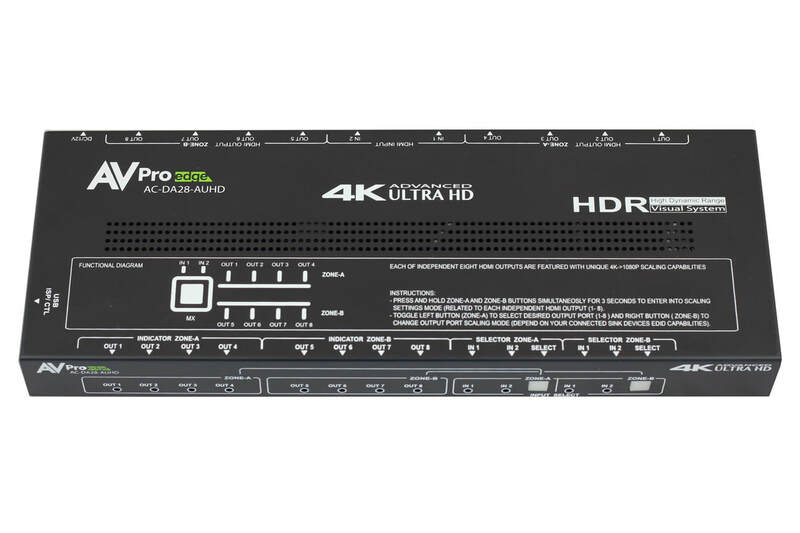 Handling 4K is something most products utilized in this application simply are not ready for, that is where choosing a AVPro solutions differs, this application is ready for true 4K at 18Gbps with HDR or Dolby Vision. 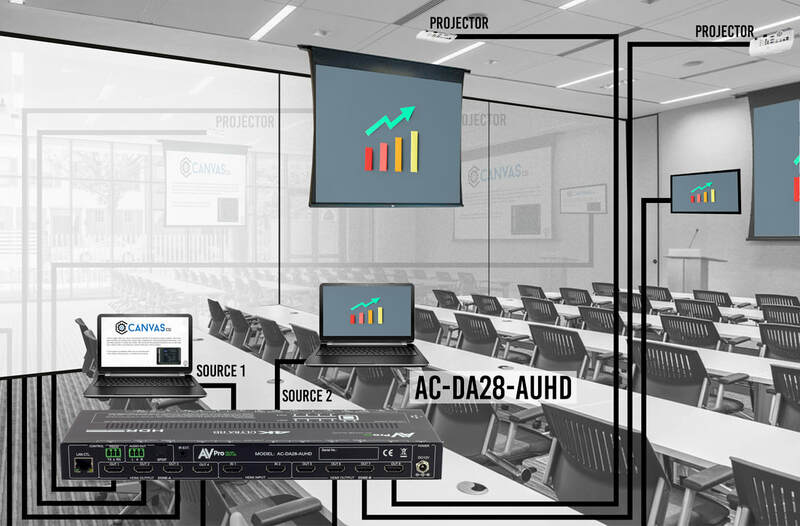 The AVPro Edge 18Gbps 4K Divisible Room Solution allows you to take use a low cost distribution amplifier and utilize it to the fullest extent by still switching between sources independently to the output zones. This solution has two output zones each of which have 4 HDMI output ports. Allowing you to show a presentation in zone one to four displays, while showing a film in zone two to a different 4 displays. 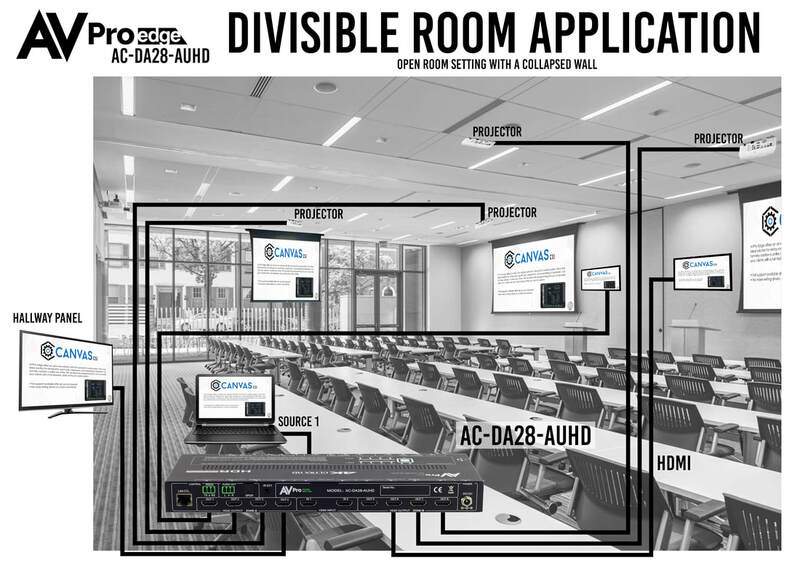 For larger divisible rooms with more than two areas we recommend cascading the distribution amplifiers together. This allows you to share your signal between other rooms, while still giving those other rooms a additional input to show something independently from original source. Built in scaling, EDID management and full control options via RS-232, LAN or IR makes this the integrators choice for easy installation.